The goal of the Jared Box Project is to lift the spirits of children in the hospital. The boxes symbolize the importance of play and are filled with well wishes, hope, and love. Over 200,000 Jared Boxes have been delivered across the United States. A Jared Box is a plastic storage box filled with small gifts, toys, games, and fun activities. Each box contains items selected for a specific age and gender. The boxes are delivered to hospitals. Jared Boxes provide a special diversion for young patients in emergency rooms, patient rooms, surgical centers, and clinics as they receive chemotherapy and other medical treatments. Jared Boxes bring smiles and laughter and lift the spirits of children in the hospital. 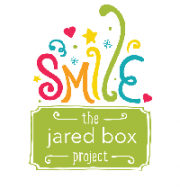 The Jared Box project was started in 2001 by the children at Our Lady of Victory School in State College, Pennsylvania to honor their classmate and friend, Jared. He was a brave little boy who battled cancer with courage and faith that continues to inspire us all. Jared was diagnosed with an incurable brainstem tumor in 1999. At just 5 years old, he demonstrated faith, wisdom and compassion for others. Jared maintained his sense of humor and the joys of childhood through play. He carried a backpack full of toys and games to all appointments, and questioned why the other children didn't bring toys to their exam rooms. Jared shared his toys and invited the other children to join him in a game of UNO. Jared's battle ended on November 12, 2000 while listening to his favorite song, "You'll Be In My Heart." "Playing UNO is a favorite memory for my family. We can hear Jared's backward laugh, remember him laughing so hard he wet his pants and how he threatened that anyone who cheated had to clean the toilets! Jared was adamant about playing fair. Unfortunately, Cancer doesn't play fair. 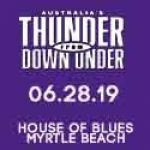 However, with your help, the efforts of the Jared Box Project will continue to give ill children the gift of play, well wishes, hope and love." 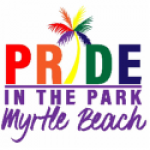 The Jared Box Project is a 501(c)(3) nonprofit organization. All donations are tax-deductible.